Located 83 Km. Southeast of Temuco, on the coastal edge of La Araucania region, near the Pacific Ocean. Surrounded by communities belonging to the ancestral Mapuche ethnic group, its basin of 56.2 km2, has the peculiar feature of being one of the few brackish lakes in South America. Currently, the place appears as an alternative for tourists as local ethnic communities have organized to promote this attraction which was somewhat forgotten. From Temuco, the regional capital, you reach Puerto Saavedra or Puerto Dominguez which are the nearest towns. Puerto Saavedra, was hit by a massive earthquake and tsunami in 1960, the largest recorded by humanity until today, 9.5 magnitude, which was intensely lived here, where the stories of survivors still can be heard. 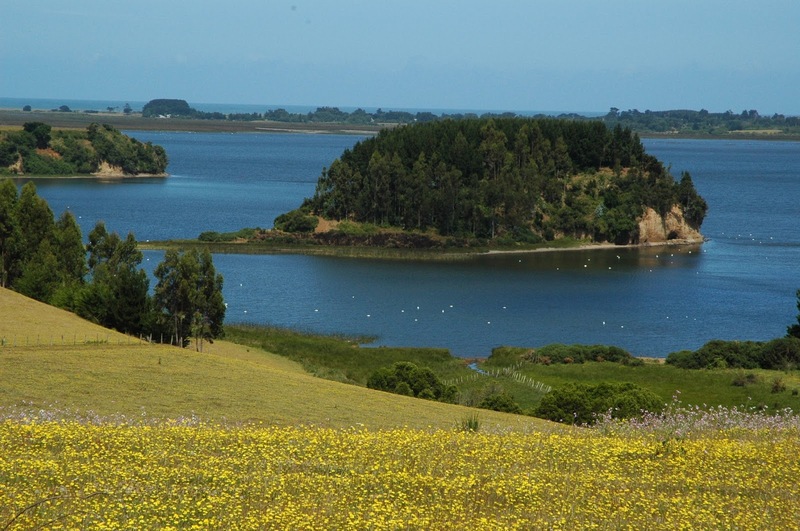 But today, Puerto Saavedra, town of almost 15,000 inhabitants has become an important tourist center of La Araucania Region, there you will find information concerning all the region and you may also learn a lot about the Mapuche culture, whose communities reach more than a hundred in the area. 3 Km. to the Southeast of Puerto Saavedra are located Lago Budi and Isla Huapi, which is not an island as such but the strip of land separating the lake with the Pacific Ocean. Around the lake there are sailings, horseback ridings, hikings, mountain biking, excursions to Isla LLepo, in the middle of the lake, etc., there are cabins and typical restaurants. You can also interact and actively participate in the rituals and customs of the Mapuche people.